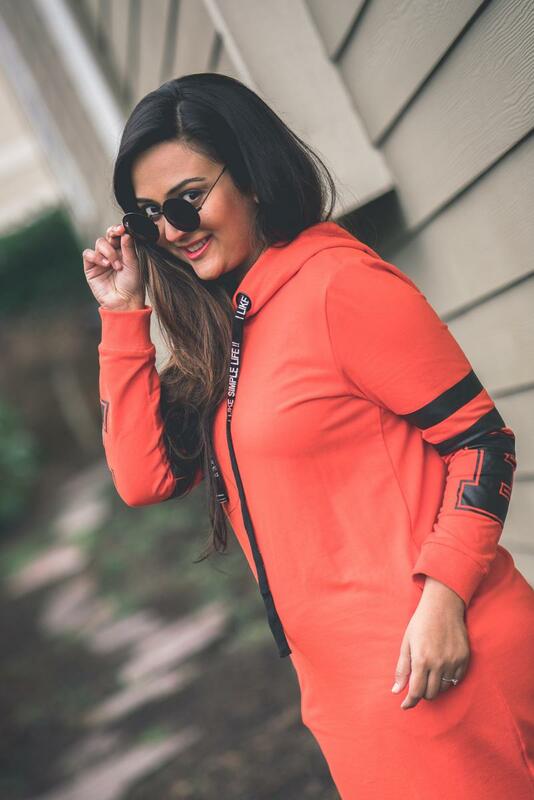 I have always been a girly girl and rarely dress up in a sporty look. 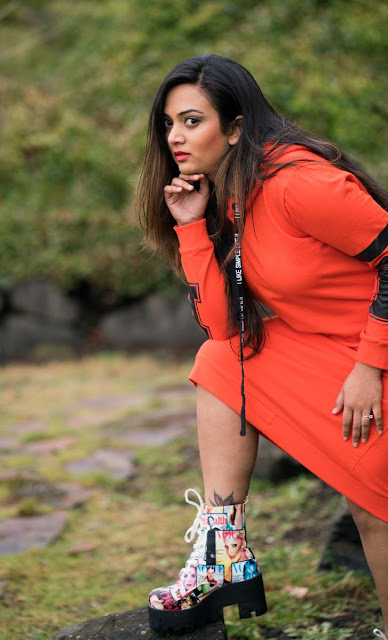 But when I was selecting dresses from Zaful.com for product review. 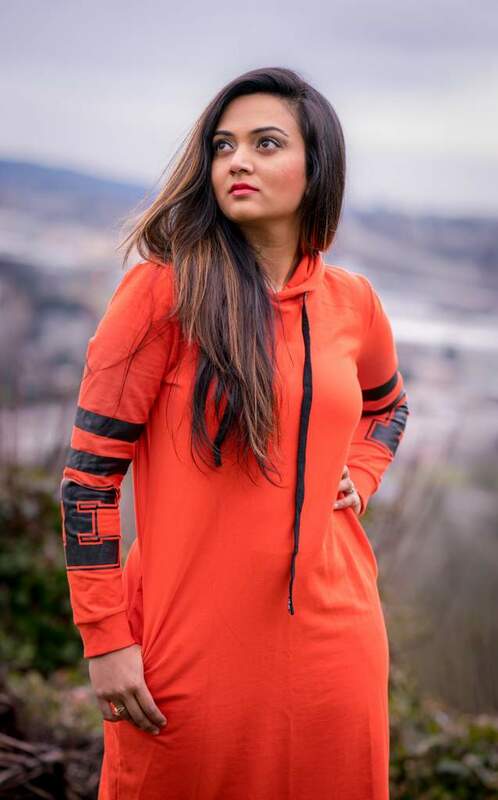 I came across this orange graphic hoodie dress. I thought it looked really cool and might be a great way to keep warm in cold Seattle weather. 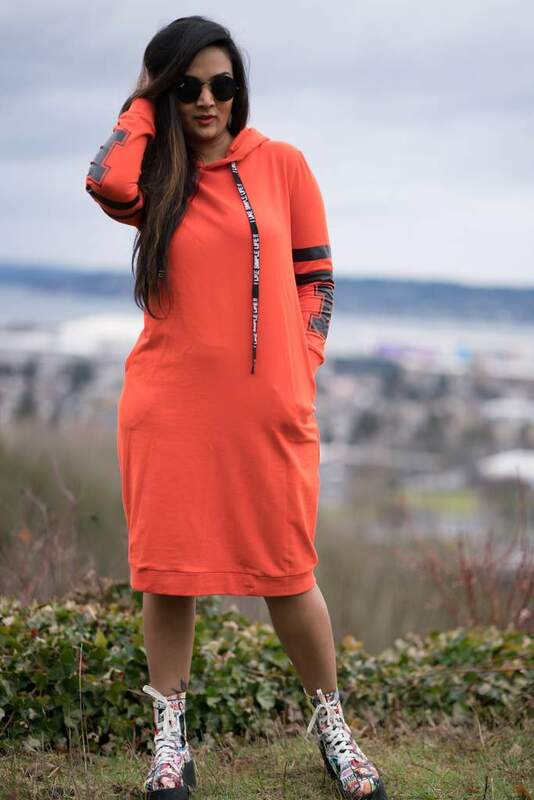 I was so right when this hoodie dress arrived it was exactly like the website pictures and the material was thick as described. Perfecto ! I hate to layer, as I feel it makes me look wider and adds extra pounds ;) maybe I haven't yet mastered the art of layering. 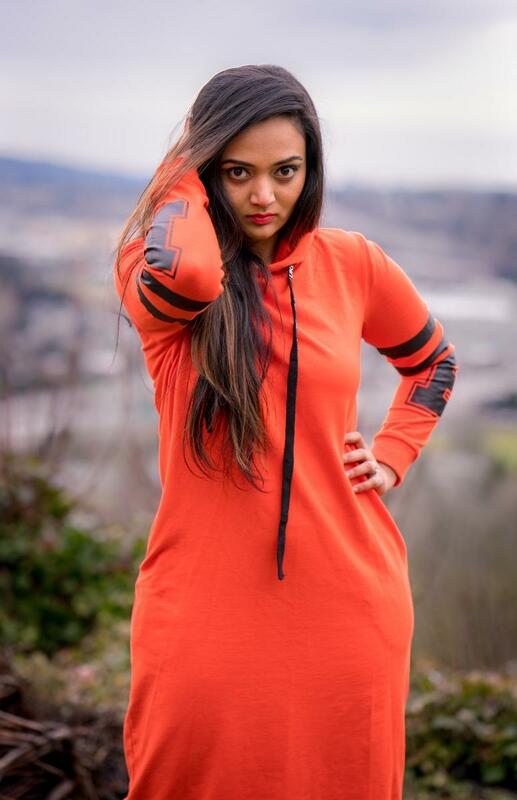 So this hoodie dress is perfect to wear by itself and looks effortlessly stylish. I love this comfortable dress so much that I even wore it to a friends slumber party. 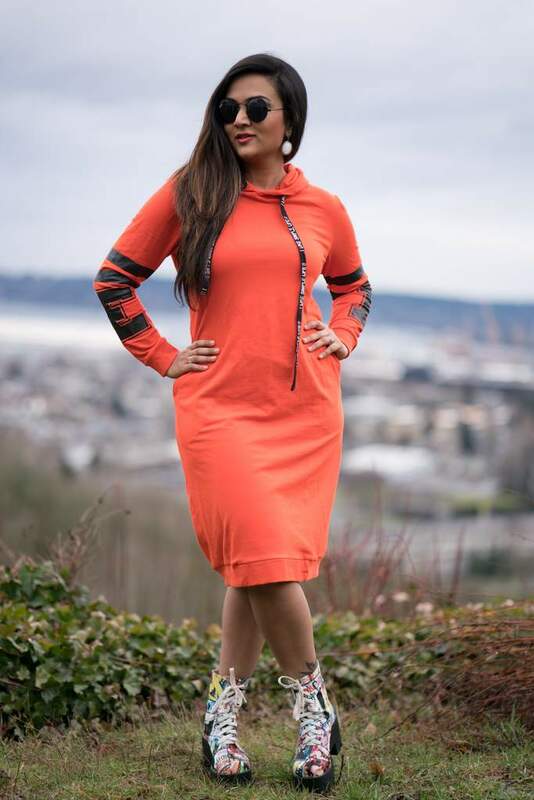 I think the right shade of orange looks really stylish and is so in this spring. Since its a hoodie dress you cant really wear girly or lady like footwear. 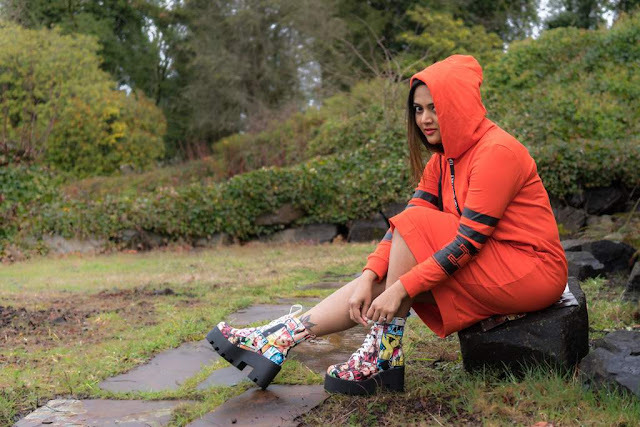 My magazine printed heels from Amiclubwear and this hoodie dress are like a match made in heaven and compliment each other perfectly. It always an interesting look when you pair solid color dress with an printed accessory. I defiantly want to give the photographer Baskar huge credit for making me look great in these pictures. What do you think of this look?? I am definitely encouraged to try some more sporty looks, please let me know if you have any suggestions.